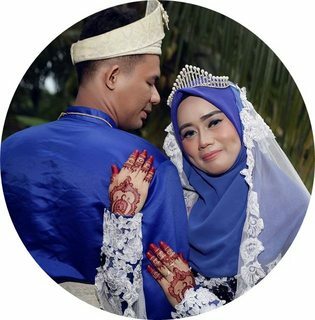 Then, Bok joo ada kawan-kawan yang susah senang bersama, kuat makan dan periang hahaah..
20-year-old female weightlifter Bok Joo falls in love for the first time. 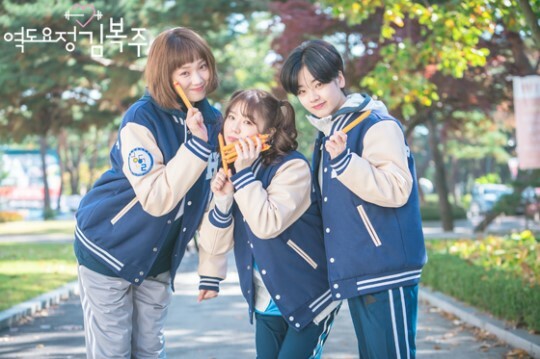 The drama series is motivated by the true story of weightlifter Jang Mi Ran.This drama is inspired by the life of South Korean Olympic weightlifter gold-medalist Jang Mi Ran and it’s about college athletes who fighting for their dreams and finding love. 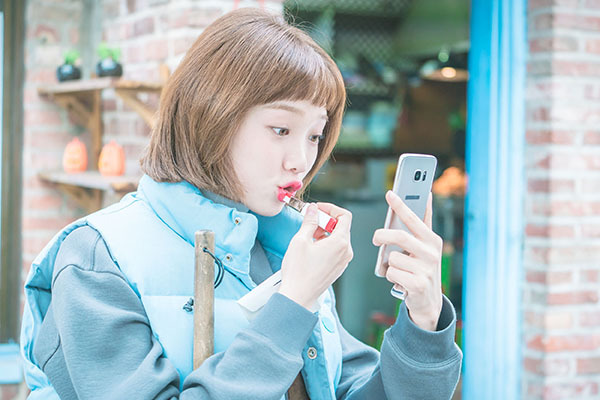 Kim Bok Joo (Lee Sung Kyung) is a student in Hanwool College of Physical Education. She has shown strength like no other since she was a child as influenced by her former weight lifter father. She looks thoughtless at a first glance, but inside she’s as fragile as glass and has deep recognition. Jung Joon Hyung (Nam Joo Hyuk) is Kim Bok Joo’s best friend. He is a born swimmer but ever since he was disqualified from his first international event, he suffers from ‘start trauma’. Along with Kim Bok Joo, he overcomes his troubles and finds his dream and love. Song Shi Ho (Kyung Soo Jin) is a rhythm gymnast who also attends Hanwool College of Physical Education. She started gymnastics since she was 5 and won the Asian Games at the age of 18. She’s always been the best since then but mental pressure caused her to break up with Jung Joon Hyung and regret it.